Heinrich Hertz (born on February 22, 1857 in Hamburg – died on January 1, 1894 in Bonn) was a German scientist and physicist who became the first scientist to prove that electromagnetic waves did indeed have an existence and in so doing he proved what had only been a theory first put forwards by the Scottish physicist James Clerk Maxwell. 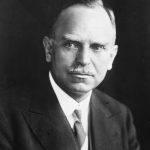 His theories went on to be developed into what later came to be known as radio waves, however, it is also important to point out that another huge conclusion from his research on electromagnetic waves was that he was also able to prove that both light and heat are different forms of electromagnetic radiations. Other than being a gifted exponent of the sciences from an early age, Hertz was also a linguist who excelled in learning new languages and it is not a surprise that he was trained in languages like Sanskrit and Arabic which were rarely learned by students at the time. Last but not the least, Hertz might have had a relatively short career compared to other scientists of the era but there is absolutely no denying the fact that he achieved a lot in his short career that many others would have been proud of and needless to say he has left behind a rich body of work that would be studied in universities for years. 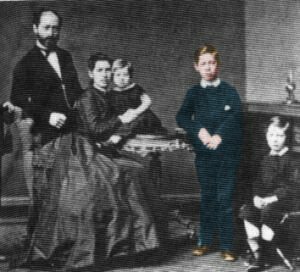 Heinrich Hertz, aged about 12, with his father, mother, and two younger brothers. At age 6, Heinrich began studying at the Dr. Wichard Lange Private School in Hamburg. The school operated without religious influence, it used child-centered teaching methods, taking account of students’ individual differences. It was also strict, the students were expected to work hard and compete with one another to be top of the class. Heinrich enjoyed his time at school, and indeed was top of his class. Heinrich’s mother was especially passionate about his education. Realizing he had a natural talent for making things and for drawing, she arranged draftsmanship lessons for him on Sundays at a technical college. He started these at age 11. At 15, Heinrich left Dr. Lange’s school to be educated at home. He received tutoring in Greek and Latin as well as the sciences and mathematics, to prepare him for the exams. He excelled at languages, a gift he seems to have inherited from his father. Professor Redslob, a language specialist who gave Heinrich some tuition in Arabic, advised his father that Heinrich should become a student of oriental languages. Never before had he met anyone with greater natural talent. In the evenings he worked with his hands. He learned to operate a lathe. He built models, and then began constructing increasingly sophisticated scientific apparatus, such as a spectroscope. He used this apparatus to do his own physics and chemistry experiments. 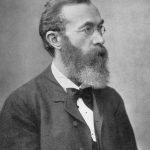 After graduating from school and completing his army service, the 20-year-old Hertz moved to Munich to begin an engineering course in October 1877. 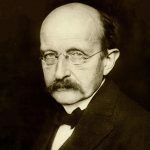 Next year, he moved to the University of Berlin and began working in the laboratories of the great physicist Hermann von Helmholtz. 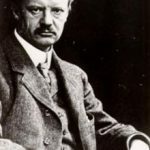 Helmholtz must have recognized a rare talent in Hertz, immediately asking him to work on a problem whose solution he was particularly interested in. The problem was the subject of a fierce debate between Helmholtz and another physicist by the name of Wilhelm Weber. The University of Berlin’s Philosophy Department, with Helmholtz’s encouragement, had offered a prize to anyone who could solve the problem: Does electricity move with inertia? Alternatively, we could frame the question in the form: Does electric current have mass? Or, as framed by Hertz: Does electric current have kinetic energy? Hertz started work on the problem and quickly fell into a pleasant routine: attending a lecture each morning in either analytical dynamics or electricity & magnetism, carrying out experiments in the laboratory until 4pm, then reading, calculating, and thinking in the evening. 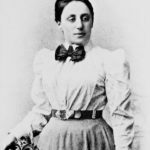 In August 1879, aged 22, Hertz won the prize – a gold medal. In a series of highly sensitive experiments he had demonstrated that if electric current has any mass at all, it must be incredibly small. We have to bear in mind that when Hertz carried out this work the electron – the carrier of electric current – had not even been discovered. J. J. Thomson’s discovery was made in 1897, 18 years after Hertz’s work. The electromagnetic spectrum. Hertz discovered the radio part of the spectrum. 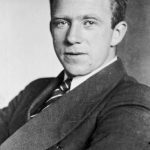 Recognizing the incredible talent he had in his laboratory, Helmholtz now asked Hertz to compete for a prize offered by the Berlin Academy: verifying James Clerk Maxwell’s theory of electromagnetism. Maxwell had stated in 1864 that light was an electromagnetic wave and that other types of electromagnetic wave could exist. Instead of working for the prize, he carried out a masterful three-month project on electromagnetic induction. He wrote this up as a thesis. 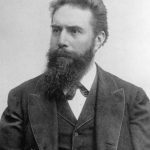 In February 1880, at the age of 23, his thesis brought him the award of a doctorate in physics. Helmholtz quickly appointed him an assistant professor. 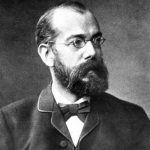 Following his appointment at the University of Karlsruhe in 1885, Heinrich Hertz’s research on electromagnetic waves went up to a new level and during the next four years he managed to generate electromagnetic waves in the laboratory. Consequently, he successfully proved that both light as well as heat were nothing but electromagnetic radiations. The waves came to be called Hertzian in his honor. In 1886, Heinrich Hertz started working on contact mechanics. His work on contact mechanics went on to inspire future research in the field many years later. He propounded his ideas in two separate papers. 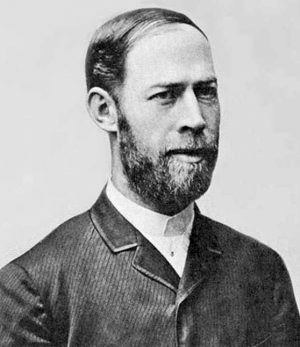 The University of Bonn appointed Heinrich Hertz as the professor in physics in the year 1889 and that was where he was employed till the end of his career. It was during his tenure at the University of Bonn that Hertz found that thin metals could be penetrated by cathode rays. It was later developed into the ‘ray effect’. He also wrote the manuscript of the book ‘The Principles of Mechanics Presented in a New Form’ while he was employed at the University. 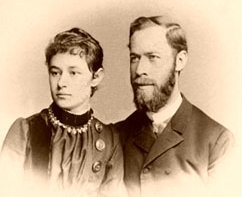 Heinrich Hertz got married to Elisabeth Doll who was a lecturer of geometry at the University of Karlsruhe. They couple had two daughters, named Johanna and Mathilde. Mathilde followed in the footsteps of his parents and excelled in academia as a biologist. Heinrich Hertz died on January 1, 1894 in Bonn due to granulomatosis with polyangiitis, also known as GPA. Two years prior to his death he had an operation to cure migraine but that had led to complications that culminated in his death, at a very young age of 36.